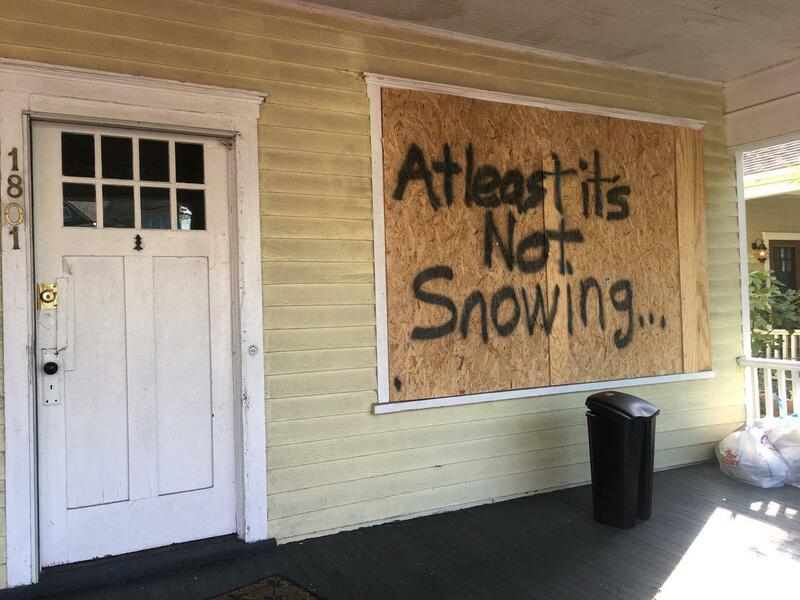 A boarded window on the front of a house in Wilmington after Hurricane Florence. When Hurricane Florence dumped record-breaking rains on North Carolina last year, poultry farmers took a hit. An estimated 4.2 million chickens and turkeys died in floodwaters.